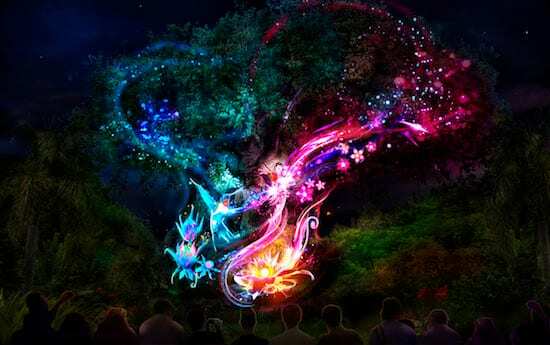 When our new nighttime experience “Rivers of Light” opens at Disney’s Animal Kingdom, it’ll be one of the most memorable and emotionally stirring shows in the park’s history. And today we’re sharing a sneak peek at some of the amazing sights the show will offer when it debuts in summer 2016. To create “Rivers of Light,” Imagineers and Creative Entertainment partnered with the talents of master puppet designer Michael Curry, composer Mark Mancina and the filmmakers at Disneynature. According to Imagineer Joe Rohde, in an interview excerpt from the latest Disney Vacation Planning DVD, the addition of “Rivers of Light” to the park’s offerings will serve as that huge “wow” moment that ends a guest’s visit to the park. We look forward to sharing even more about the new nighttime experiences at Disney’s Animal Kingdom in the coming months, right here on Disney Parks Blog. 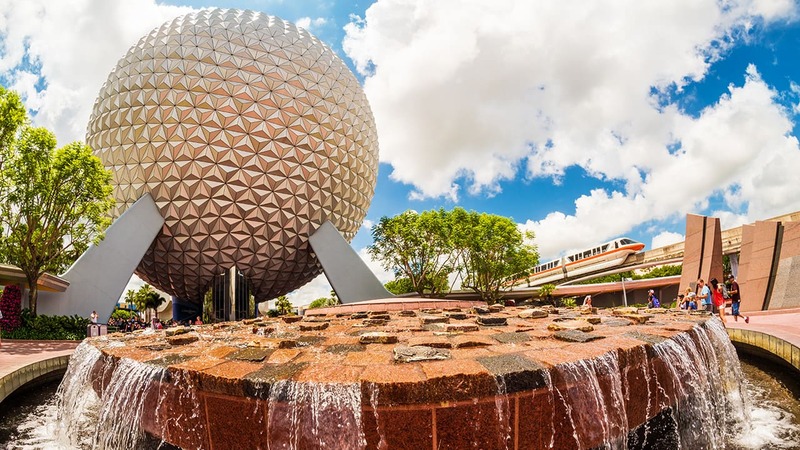 For more information on planning a vacation to Walt Disney World Resort, click here. I read where they may have an early preview on April 15-16… any info on this? I heard that annual passholders might get to preview the river of light first? Will we or when can we make reservations. Any idea if they will offer dessert party ? Can’t wait for our trip in May ! I only see one response to a question but will ask anyway…we are coming in August and the calendar lists AK as closing at 5 or so on our dates. Why is the calendar not updated for this show? People are making dining plans etc 6 mos in advance. How can we make proper plans when the website is not accurate?? Wow, this is going to be beautiful! Can’t wait for my visit in September. Do you know if there are any fastpass+ viewing areas planned? OPENING APRIL 22ND!! CAN’T WAIT TO SEE IT!! We will be there May 25th and its the first time going to Animal Kingdom! Looks beautiful….. I see a lot of posts asking about dates so plans can be made accordingly but the only response is about the animals (never would imagine Disney would do something that wouldn’t consider the safety and well-being of the animals). Please give us ideas as to the dates…. am planning a surprise visit to all of the parks for my niece and nephews (their first trip to Disney) and would like to plan days around this if open. Any idea when this will be opening? Hoping it will be early Spring so that I can catch it during my April 24-May 1 trip. However, it’s odd that it isn’t yet visible on MyDisneyExperience. 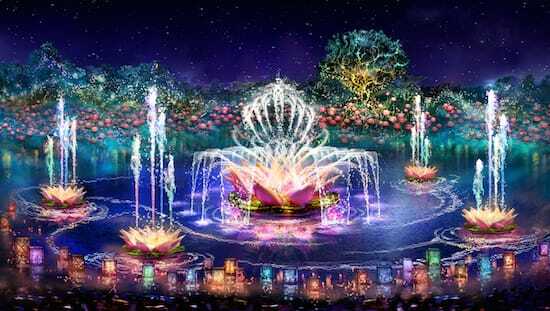 If this show (Rivers of Light) is to debut in the spring of 2016, why are there no mentions of it on the mydisneyexperience website – and no posted times. If guests are trying to schedule events and DINING RESERVATIONS (we are now in the July window), this information would be very helpful to do the necessary advance planning. Please let us know when this event will open. I can find nothing on Disney’s website. I would love to be there when the show opens. Any more information on the actual date this will be opening? Visiting mid April and would LOVE to see it! I too am hoping for an update or actual completion date announcement for Rivers of Light. I have already made our plans for our upcoming trip the week of March 13th. We arrive on the 12th and I decided to do MK that night. If I could find out something definite on this, it would turn my plans upside down!! I read on another blog, something about a March opening to offset the delay on Avatarland. Also, saw something about Rivers of Light coming along faster than originally planned. It would be so cool for something new to be ready when we go in March!!! Is there any information on when this will open? I’ll be there in May and would love to see it! Is there anymore information on what time this will be held at least? I see August 2016 Hours are posted and it is still not listed on the hours. It is very hard to plan a trip and dining without knowing how long you will actually be at the park that day. Any firm date on which this will be opening? We’re coming down in the middle of april and would love to see this??! Hi, Do you know exactly when it will start? Also, will there be FP available for this show? Thanks! I usually save Animal Kingdom for the last day of our visit. We do half a day there as well. I do the safari, my daughter rides Everest, Nemo and the bird show. Lunch somewhere. Then whatever we have time for; a few autographs. I would love to spend more time there and look forward to these new attractions! We will be there the week of March 13th, 2016. It seems in the past we usually just miss the opening of new attractions in the spring. Seven Dwarves Mine Train was an example of this. I know spring doesn’t officially begin until March 20th, but please, please let something new be open when we arrive! It is “spring break” time after all and would be great to enjoy some of the new attractions during our stay. Also, need to plan accordingly when our fastpass window opens up. These new changes would make Animal Kingdom an all day park. Need to know opening dates, so that I can plan accordingly. Would March 13th fall in the “early spring 2016” category? Animal Kingdom is a tricky park. Although I use it as a half day park, it is Disney’s biggest! I will be at WDW the last week of March 2016 with an amazing group of students. Any idea if this will be up and running by then? Having recently returned from WDW, I can confirm that AK is undergoing extensive remodeling, not just for Pandora but also around Discovery River where Disney is installing a large grandstand area for the night time show. I suspect they will offer FastPass+ for reserved seating but, like Illuminations, there will also be many viewing areas all around the river, some better than others, I’m sure. Really looking forward to seeing this show in the spring- whenever that will be! I hope they make some of those images available at the Art of Disney. I *love* that first image. I am also wondering about the viewing area. Will there be a Fastpass option or a dining package offered? How late will the park be open then once the show starts? DAK is my favorite park, and it just keeps getting better and better! I can’t wait to go and see it..it looks fantastic. Looks breathtakingly beautiful. Hope it opens in time for my May trip. Any idea what time the show will be scheduled to take place? I can’t wait, thanks for sharing! So very excited for this! I love animals and the concept for this show sounds so beautiful. This has very strong potential to be my favorite nighttime show. I would really like a better idea of what spring means. Is is possible to say what month it opens at least? Wow! It looks like it will be amazing. I can’t wait to see it when I visit next year. Is there any word on if Made with Magic will sync with this show? Any idea when it’s going to start? Would love to go ahead and book a resort. I have to wonder how many guests the viewing area will hold. If every guest at DAK wants to see this – and that seems a genuine possibility in the first year or two – I see the possibility of real problems with fitting everyone into the area. Is it possible to run the show twice in one night? Please tell me this will start in April! I will be there for our 20th anniversary, and this would just top off our celebration! My wife and I always used to do half a day at Animal Kingdom, then leave the park in the afternoon as the park heated up. Now between this an Pandora, it really looks like Animal Kingdom will be an all-day experience! I have a question though: my understanding of the reason the Animal Kingdom always used to close so early was because the excess noise and light would stress the animals. Is that true? And if it is, what is Animal Kingdom doing to help keep the animals calm now that the park will be open later? Our animal care experts are dedicated to the safety and welfare of our animals. They have thoroughly reviewed plans to extend the park hours and are comfortable that we’ve taken the appropriate measures to protect the health and well-being of each animal.